Mt. Tamaki Observatory (玉置山展望台) is located the south end of Nara Prefecture. It is located on the top of Mt. Tamaki which is considered as the most sacred place of Kumano pilgrim. 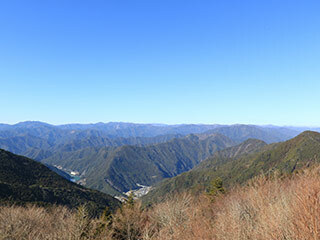 It has a great view of Kumano mountains. Drive Route 168 to Mt. Tamaki or Tamaki Shrine.